Did you know that the acne on our face can be due to certain parts of our body experiencing some health issues? Just like how Reflexology points on our feet are linked to our organs, our face can also reflect our health by having acne on certain areas. 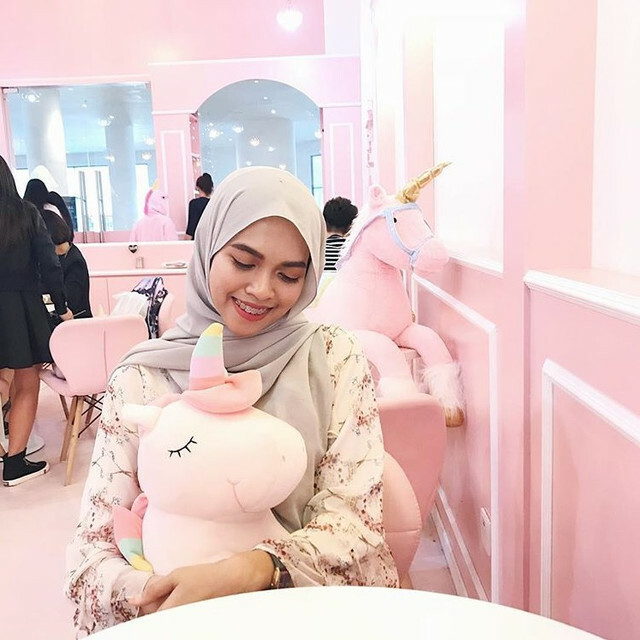 I discovered about this thing called 'face mapping' a while ago and it has helped me a lot in finding the true solutions to most of my acne. The face mapping actually have been used since a long time ago in Chinese traditional medicine. 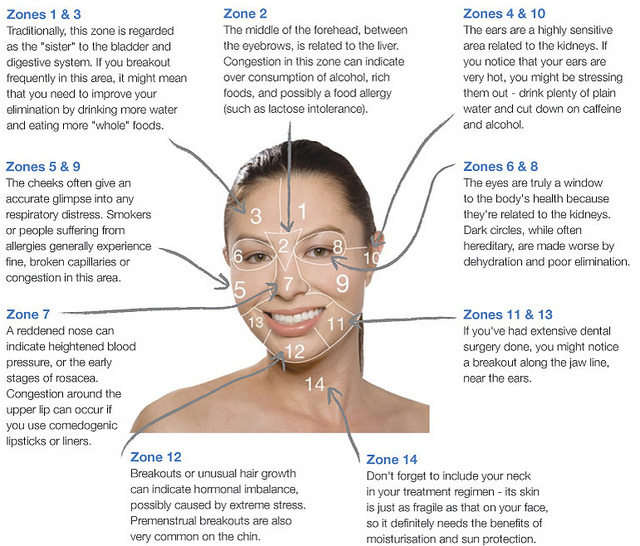 Below, I have attached a complete picture of face mapping with the explanations for every affected areas on our face. So the next time you're breaking out and thinking that your products are the cause of it, think again! It might be due to our internal system. Just refer to this face map and fix what's needed to be fix. Good Luck!